Hermelinda B. 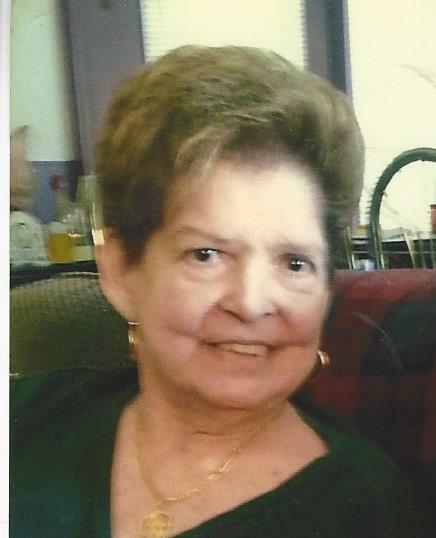 “Linda” Cisneros, age 70, of East Chicago, IN passed away Wednesday, November 21, 2018 after a lengthy illness. Linda is survived by her husband of 30 years Charles Vega; son, Ruben Rodriguez; six sisters: Dolores (John) Gutierrez, Esperanza (William) Brown, Debra Scavo, Anna (David) Matchin, Maria Elena (Daniel) Boyer, and Melissa (Juan) Benavidez; two brothers: Thomas (Juanita) Benavidez and Alfredo "Freddie" (Martha) Benavidez; numerous nieces, nephews and cousins. Preceded in death by parents: Thomas and Theresa Benavidez; and son, Adam Cisneros in June 2018. Visitation at the FIFE FUNERAL HOME, 4201 Indianapolis Blvd., East Chicago, IN will be on Tuesday, November 27, 2018 from 11:00 am until 7:00 pm. Deacon Ray Helfen will hold services 6:00 pm Tuesday. Linda was a long-time supervisor of custodians in the East Chicago Public School System; a life-long resident of East Chicago and a member of St. Patrick Church in East Chicago. She was a very happy person and loved to enjoy her family all together; an avid fan of Tejano music. Linda will be missed by her family and friends.